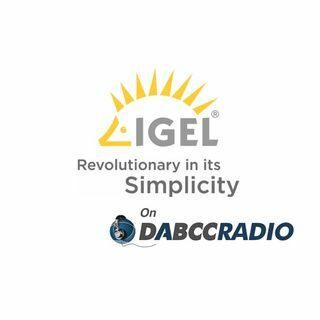 In episode 288, Douglas Brown interviews Jed Ayres, CEO and President of the Americas and Global Chief Marketing Officer at IGEL Technology. Douglas and Jed update us on what’s new at IGEL, their 800% growth, the upcoming VMworld 2017 festivities (hence IGEL is giving away a Tesla to one lucky winner), what’s coming in the future and much more. Jed is an amazing guy and you after listening you will truly understand why everyone is talking about IGEL! IGEL OS revolutionizes ... See More access to virtualized desktops and applications. Currently in its 6th generation, this time-tested operating system standardizes your endpoints, provides for adaptive configuration and granular control, while giving users a familiar, trouble free workspace. Supporting more remote display protocols than any solution on the market, IGEL Linux 10 is purpose-built for enterprise access to virtual environments of all types. ICG - Extend the Universal Management Suite to endpoints running outside the company network, whether that’s in remote branch offices, at home offices or by roaming road warriors. Using only a standard internet connection, IGEL Cloud Gateway enables transparent and secure endpoint management anytime, anywhere. HA - High Availability, HA, is an optional extension for the IGEL Universal Management Suite (UMS) and enables the UMS to offer any degree of scalability, availability and redundancy. With HA, even large-scale thin client environments (500 or more end devices) can be simultaneously reconfigured. UCB - With the Universal Customization Builder, UCB, the firmware for IGEL Universal Desktop thin clients can easily and reliably be expanded and adapted to meet your needs. For example, you may choose to install local device drivers or special applications. You can even set important Windows registry keys- without detailed knowledge of Shell or Windows scripting. SWP - The Shared WorkPlace, SWP, can be optionally licensed as an enhancement of IGEL’s thin client software. It allows user-dependent configuration based on setting profiles created in the IGEL Universal Management Suite (UMS) and that are linked to the user accounts in the Active Directory. IMI - With the IGEL Management Interface, IMI, the IGEL Universal Management Suite (UMS) can connect via a standard REST API to existing enterprise management systems (such as Microsoft System Center or IBM Tivoli). In addition, IMI provides the interface for REST-compatible programming languages to connect autonomous systems together. UMA - The IGEL Unified Management Agent, UMA, for Windows 7 or 10 delivers Unified Management of the future, today. Devices running a Windows 7 or 10 operating system and an installed UMA are reliably and securely managed by our Universal Management Suite (UMS). In this way UMA-managed devices fit seamlessly into the IGEL solution portfolio – whether they are thin clients, notebooks or workstations. Jed Ayres leads worldwide marketing for IGEL and is responsible for IGEL’s corporate marketing, social, branding, communications and global lead generation strategies. Ayres brings over 20 years of technology experience to IGEL and has a wide range of industry experience across workspace management, virtualization and mobility. Prior to joining IGEL, he was the SVP of Worldwide Marketing for AppSense, where he helped the company rebrand and achieve significant growth prior to being acquired by LANDESK. Ayres was also CMO at MCPc, a $300m+ Solutions Provider in Cleveland that achieved rapid and sustained growth and was acquired by Logicalis. Prior to MCPc, Jed spent six years as SVP of Partner Management and Marketing at national Solution Provider MTM Technologies, a large Citrix Platinum Partner that focuses on virtualization and managed services. Previously, Ayres held senior management positions at Megapath, Rhythms NetConnections and GE Capital IT Solutions. He has also held a number of advisory board positions, including Citrix Platinum Council, VMware Global Partner Advisory Board, Hewlett Packard Partner Marketing Advisory Board and the Cisco Marketing Council. Ayres holds a BS Business Administration from Sonoma State University and an MBA from San Francisco State University. An avid swimmer, biker and runner, Ayres successfully completed six full Ironman races and several ultramarathons. He resides in Marin, California with his family.